Has The World Always Been Ending? Since I can remember understanding about things like this it seems like the end of the world is always around the corner. Watch the news for long enough and you will get the distinct feeling that everything that is happening in the world, be it the scientific, political, religious or geographic world, is leading to one thing; the certain and imminent demise of human life. This is not only confined to the world but expands to the galaxy beyond our grasp and control. So even when you may talk yourself into believing that we can fix the environment and politicians will pull back the reins before world war “the end” happens or religious leaders will find ways of calming the masses and keeping everyone happy you cannot guarantee there isn’t some rock hurtling towards earth that will smash us to smithereens. So I sit here, in my little house, on this little spot in the little world waiting for the sky to fall. I think of my three little children and the fourth on the way and scenes from “2012” or even worse “The Road” pop into my mind and I have to make a conscious effort not to think about these things. But still I remember one of my readers leaving a comment talking about the impact not having crude oil would have on the world and I keep remembering that there would be no plastics and therefore important things like IV’s in hospitals won’t be available anymore. The I start thinking recycling HAS to be mandatory all around the world and I don’t want to be like that guy in “The Road” with his son and what if I get sick and who’s to say I would even survive if something horrible happened to the world and blah di blah di blah. And now forget about huge, monumental things, let’s think about the big things that can happen that do not mean the end of the human race but only the end of my world here in my little spot in my world. I am not sitting in the most peaceful region on the planet and only God knows what’s around the corner here. It is not a lot of fun. So my question to you is: (assuming the you who are answering the question are of an older generation than I or can ask someone who is of an older generation) Has the world always been ending? I mean has it been ending this eminently? Is it human nature to await, predict, anticipate and fear the end like it was happening tomorrow? I sincerely hope your answer to this is YES! so that I can stop planning (in my head only of course and quietly and never admitting to anyone around me, that is) what I would do in every conceivable end of world scenario my over active imagination can come up with. Salam Yasser, You know I am scared of judgment day for myself not for my children. What terrifies me is (and I know this happens with out the world ending in big sense) not being able to get food for them, not being able to protect them, seeing horrible things happen or experiencing horrible things happening to my family. THAT is what scares me right now. What happens on judgment day is totally my fault, in my hands to make it good or bad to a certain extent. But if a big volcano erupts and sends ash into the sky so thik that it takes a hundred years to clear and all plant life starts dieing and therefor animals die as well and people start eating people… that terrifies me. Human being in a desperate state terrifies me. Now not to the point that I cannot function or need to seek mental help but enough for it to have made me write the post lol. In my 55 years, the end of the world has often been predicted, even feared. I think that the difference today is that the nature of these fears is more specific. Technology can predict when we will run out of things, maybe in a century or a millenium, and conservationists send up a warning. I have taken the approach that when it is my time, God will call me home. Until then, He will provide for me and my family. Relax, enjoy life, and get the most of every moment. Thank you, sage advice. As I said to Yasser it’s not a debilitating fear I have lol only something I think of from time to time especially after having children. When you’re one person you are faster and lighter and getting out of trouble seems easier. But when you are a whole mini tribe it’s another story. I think we were raised in a culture that links disasters and corruptions to the end of the world ,, I am not sure if there is a religious linkage or if it’s because our subconscious refuses to accept that worse things could happen and it makes us believe that that’s it, we’ve seen it all ,, now the world will end! Am I making sense here? What interesting… thought provoking questions based on your reflections…! 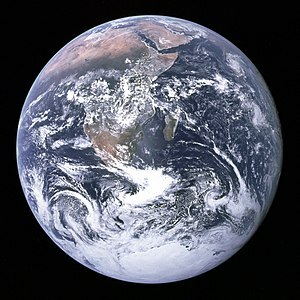 I think that the world (if we look at geologic time) and humanity have always been through periods of growth and death. The Earth has seen major upheaval before and science shows that it has almost lost all life. Human history showed times where we were in very bad places, like World War 2, or teh Dark Ages for example. The crisis we face today is much larger in proportion, scope and consequence than anything we as humans have faced before. You are so right to say that many things can happen to humanity that we would not cause, like a huge meteorite, for example. But the real issue now is population and our collective addiction to oil which is entirely within our abilities to change, not just one part of the planet but everywhere! We have never faced a challenge this big!. But we arent really doing much. why? Because we dislike change, we dislike inconvenience, we dislike losing money. Humans could fail because of human failings. The thing that frightens me is that humans across the world should be acting with far greater alarm than we are. Its as if our Mother has cancer and we are only acting like she has a cold. We give only cough medicine to her, its not enough. What kind of children are we if we know our Mother has cancer… and we do nothing? Too busy to party, have fun, make money… to care for her. Or we say, “oh she is not REALLY sick. I dont want to be an alarmist.” ignoring the test results. This is how we are now. I think that “The Road” will very most likely not happen. But I do think that because of climate change (and our negligence to stop it) we are creating hardship and misery for our children and their children…when we had the power to stop it. What can we say to them then? Or to the animals facing extinction? Or farmers losing their ability to make enough food because the rains have moved? Ethiopia just experienced mass starvation because of a climate change induced drought. Island nations will become refugees because their islands will be underwater. Bangladesh will soon lose much of their rice planting delta. in so many ways suffering is created that we can change if we wanted to. This is the irony and the tragedy. People will continue on… but the price will be painful for especially the poor countries. Because of the scope of our challenge to move to a non-oil life and specifically to restrict our human growth (when until recently it was always to have many children). And the consequences if we do not, it is not like any other challenge we have faced.